I definitely get very sentimental about things that mean a lot to me. 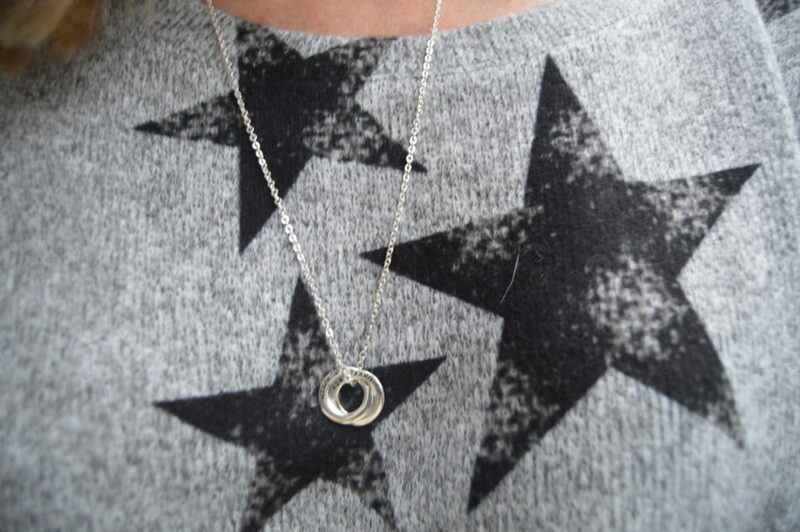 When Centime approached me about their meaningful jewelry, I flipped over it. This post is sponsored by Centime. All opinions are all my own as always. 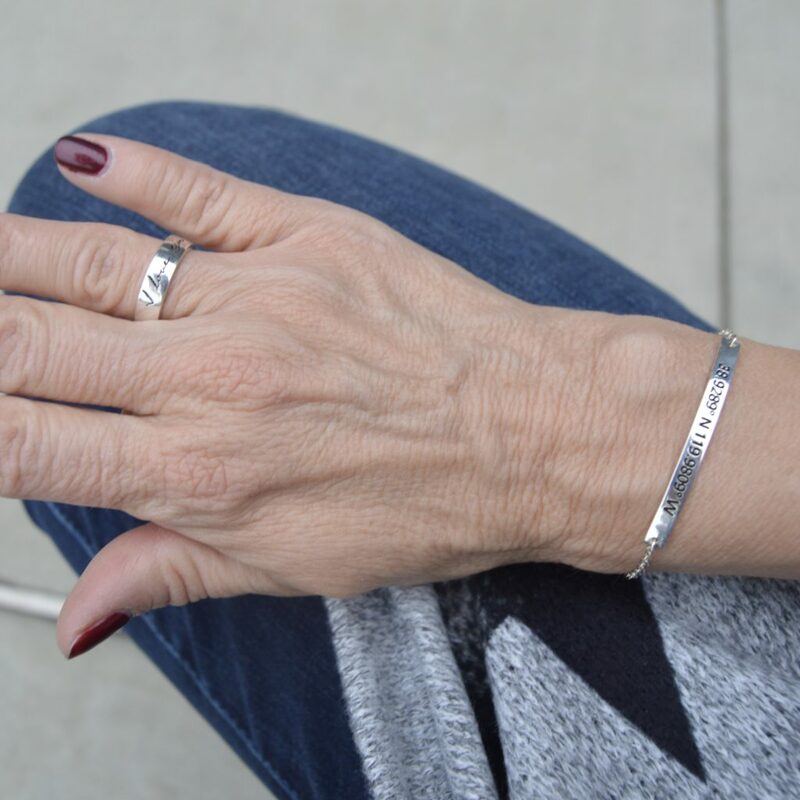 Centime is the loving creation of two moms who wanted to be able to give and receive meaningful keepsake jewelry for an affordable price. Centime first reached out to me about trying out their Mom Jewelry. When I wrote back and told them I was only a pet mommy, they said they would love to make me pet mommy necklace! So I got this fabulous high quality stylish necklace with the names of my doggies Rox and Lucky, and my kitties Magick and Pumpkin. Pumpkin actually passed away a couple of years ago, but he’s always in my heart and I just couldn’t leave him out. See, sentimental?! Sigh! Centime also invited me to try out their Coordinates Collection and their Handwriting Collection. I got a bracelet with the coordinates of the place where my husband and I got married. And the ring has “I love you” written in my husband’s handwriting. I’m super thrilled with everything. It feels super romantic, even if it wasn’t his idea! All of the collections are available in sterling silver and 18K gold plate (yellow gold or rose gold) to match anyone’s preference. Everything is chic, high quality, and comes packaged beautifully for gift giving. Use code FUNFASHION for 20% right now at Centime! Be sure to check out the Centime website. I really can’t think of a more thoughtful gift for someone you love!! Even better, get 20% off with the code FUNFASHION …. !!! 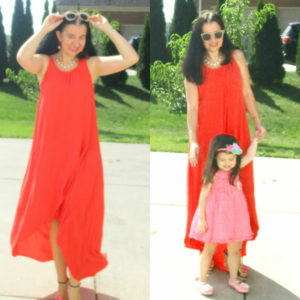 Last week’s fun look is this orange and pink combination with Ada of Elegance and Mommyhood and her adorable litlte mini me! Happy weekend, Dolls! Enjoy the link up! What fabulous ways to keep your pieces reminding you of wonderful things!! I’m loving the elegance and simplicity of the jewelry. They would make a great gift, indeed. Thanks for sharing this find and for the link up. Such beautiful jewellery! 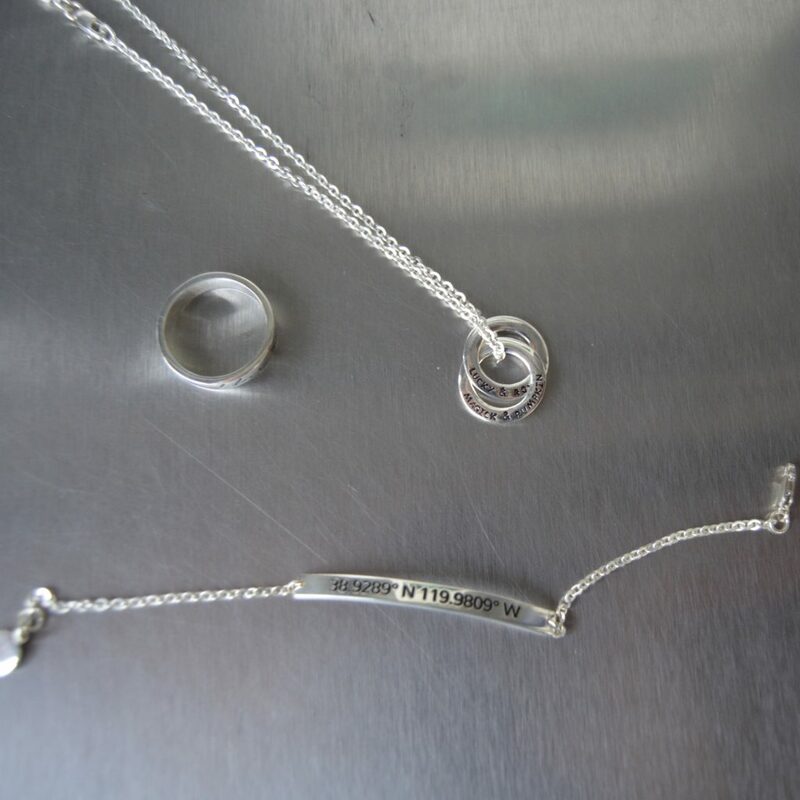 All three pieces are wonderful reminders of what’s dear to you. Not sure what I love the most in this post. The sweater is so cozy and fun and the jewelry is very pretty. But the puppy steals my heart! So many cute accessories and love that they are personalized! Your star sweater is so fun too! Thanks for hosting Dawn Lucy. Dawn Lucy, I love your personalized jewelry pieces. My favorite pieces have special meaning to me, too. It doesn’t matter if it from your fur babies or your human babies. Meaningful is meaningful! 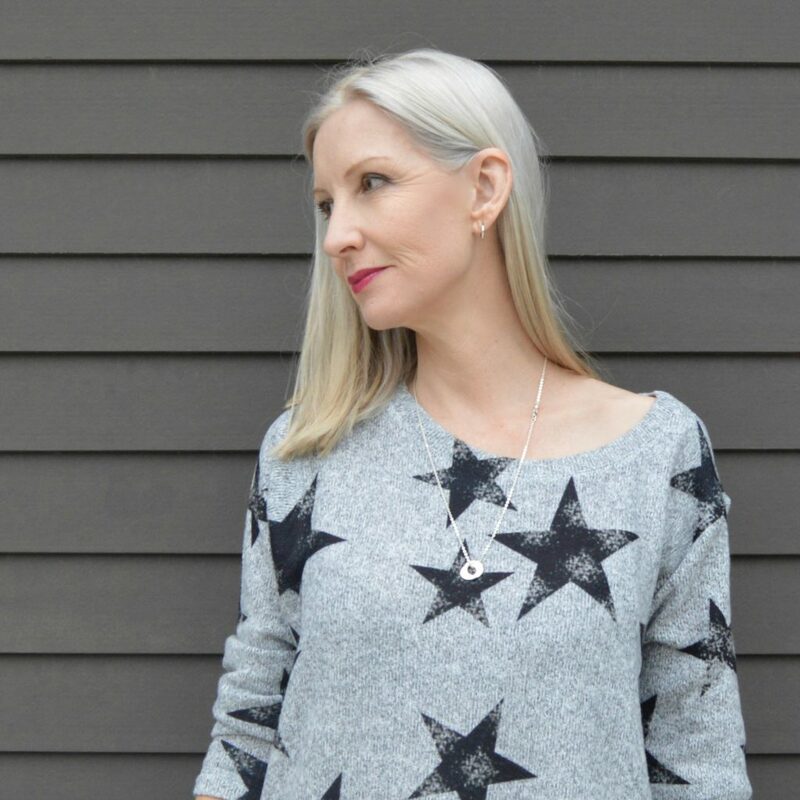 I also am loving this star print sweater and those gray booties are fabulous. Such a great fall outfit. And this color looks really fantastic on you, too. What beautiful and special pieces of jewelry! I love this look, I love the print. The booties are so nice and the jewelry. Oh that is so nice! What a lovely pieces! Lucky is precious, what a fun shoot! The jewelry is so pretty, delicate and sentimental- love it! Love this beautiful jewelry line! Perfect for gifts. 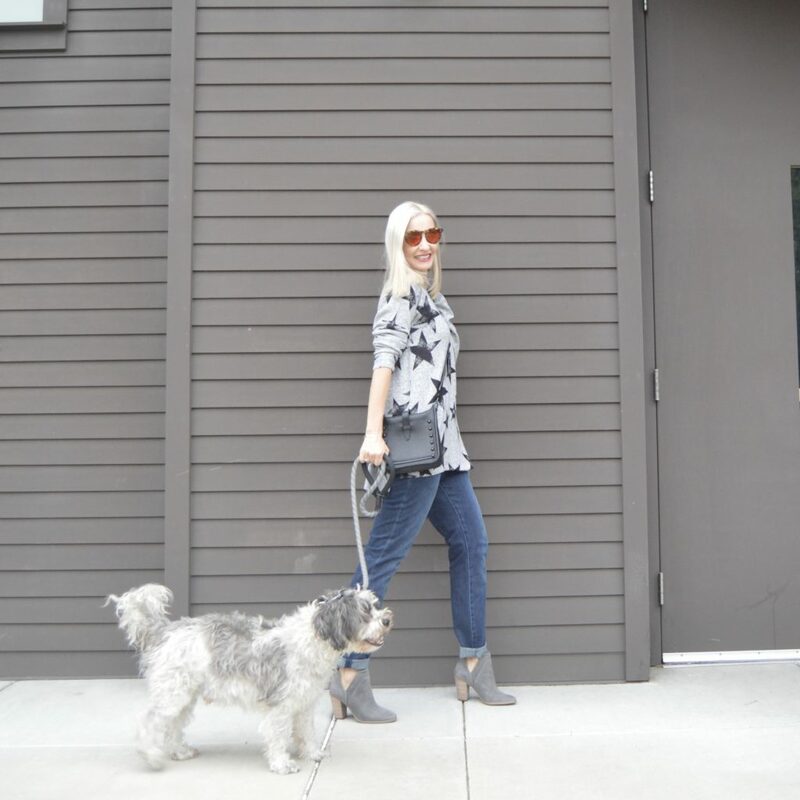 Thanks for sharing and love your casual chic look! 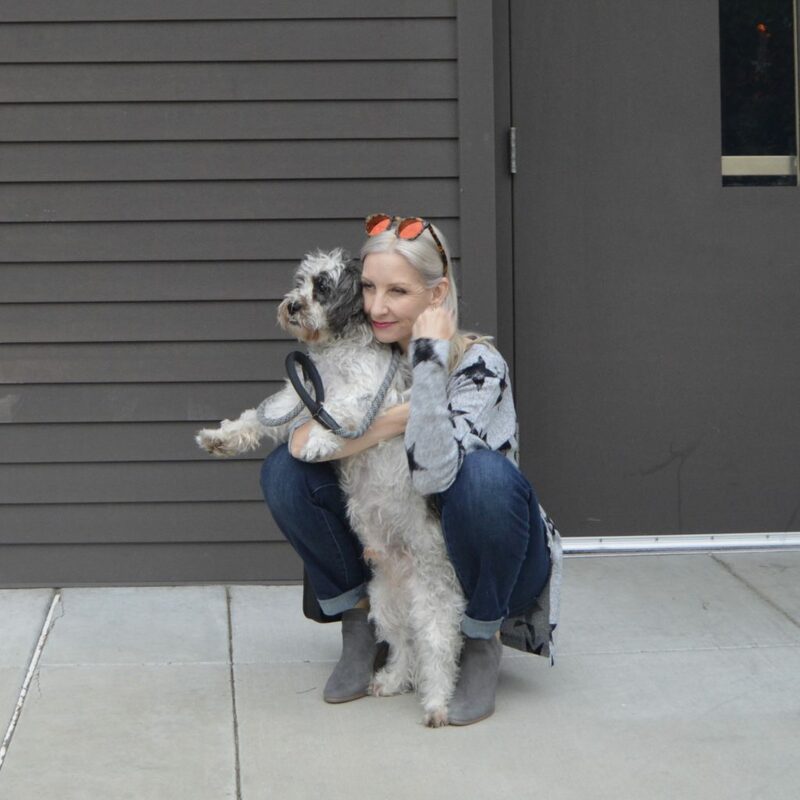 Thanks for the link up Dawn…hope you and Lucky have a great weekend! I love customized pieces. How great! That star sweater is really fun too. I love this post! I have a fur baby too so I can definitely relate. Your outfit is amazing! I love that sweater and those boots! Love this idea – the personal touch is so unique. Thank you for introducing us to this. 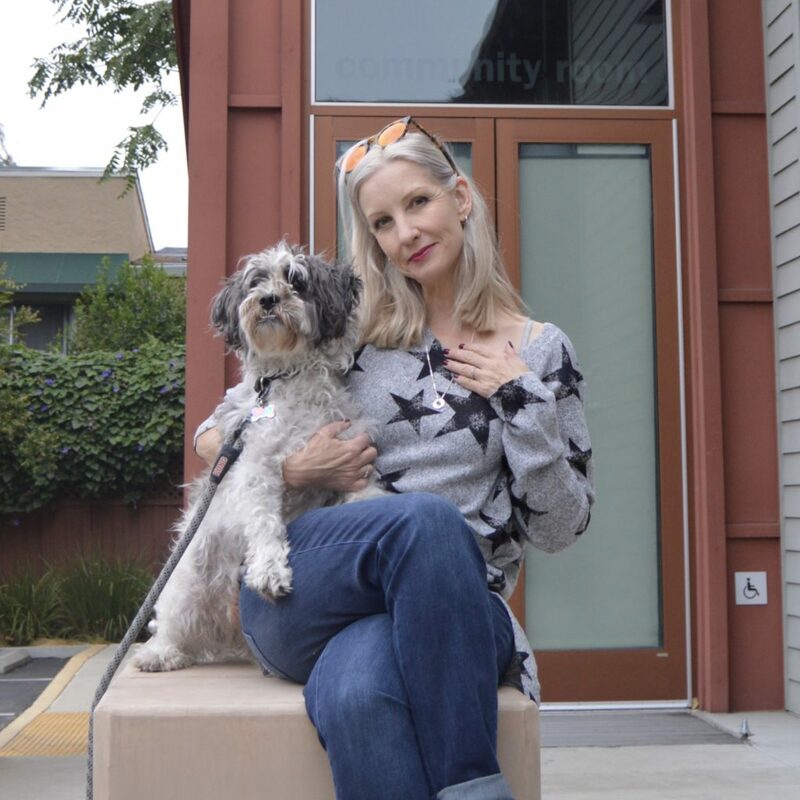 Fun post – drooling over that star sweater, but Lucky is your best accessory!! Aww, love seeing Lucky in the shoot! pretty jewelry! Gorgeous jewelry! I love the way you an personalize it! Oh my stars! You look fantastic in that top! I love the jewelry too! And your boots are just fun fun fun! Awww, what a fun post! Love the idea of customized jewelry, and even more so for our sweet pets. Love this jewelry collection. It’s so unique and perfect for a holiday gift! 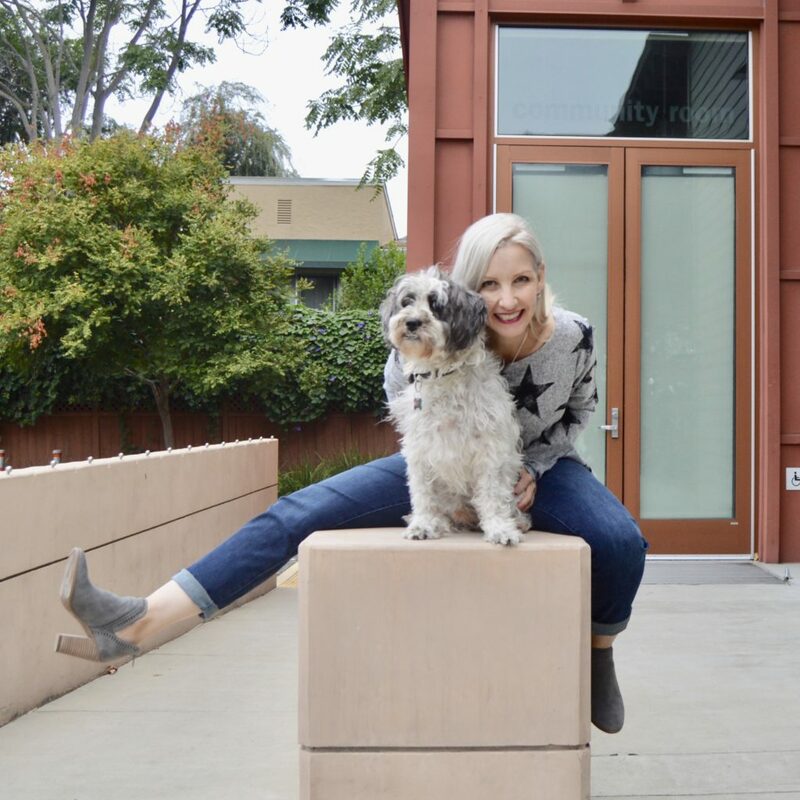 Gorgeous post, and I love the cute dog! Such a cute sweater! I love the necklace. beautiful photos! I love customized jewelry! They make the perfect gifts to give to loved ones. Love you start sweater and those cute booties!